A really great article here by Phil La Duke, interviewing 3 entrepreneurs on what they would have done differently - or not. In this rapidly changing environment, too often organisations either do not move forwards because they fear or do not permit failure - or, even worse they plough on, burning cash on projects as they cannot admit failure or learn from where they have gone wrong. “One thing I learned that every mistake or a set back can lead you to greater opportunity as long as you learn from it and stay persistent. Word of caution, don’t confuse persistency with stubbornness. I have seen so many good people and companies go down, just because they refused to learn from their mistakes and kept repeating them. 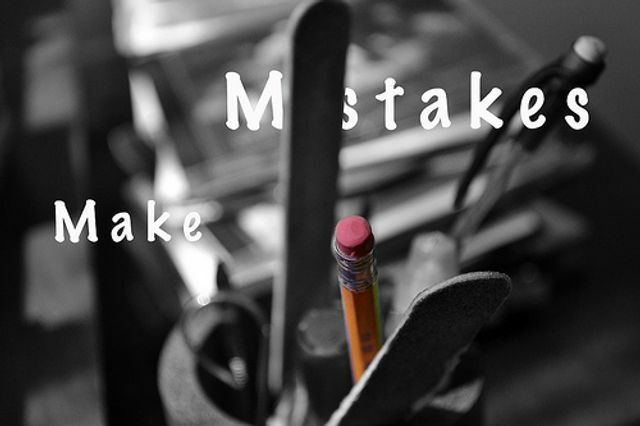 Mistakes offer us a wealth of knowledge and great opportunity to learn."